The station is located under the intersection of Avinguda del Marquès de Sant Morí and Salvador Seguí, Quevedo and Pau Piferrer streets. The station was built like many other new L9/L10 metro stations with a 22 meter depth well, this time however the well is not circular but it is square. It is divided in four levels: the upper hall, the pre-platform, the upper platform and the lower platform. 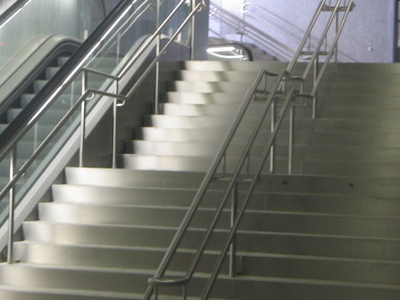 The upper hall has four accesses from the street, all equipped with escalators and elevators, and making the station accessible. One of the accesses goes directly to the upper hall and the other accesses join it through a corridor. The upper hall has also ticket vending machines and a TMB Control Center. 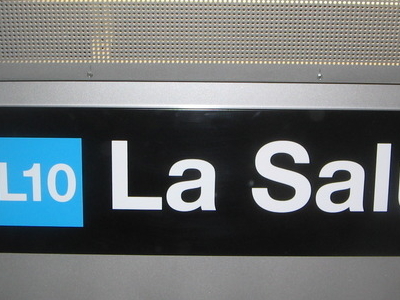 The upper platform is where run the trains toward La Sagrera and the lower platform is where run the trains toward Gorg. The architectural design of the station was designed by architect Alfons Soldevila Barbosa. 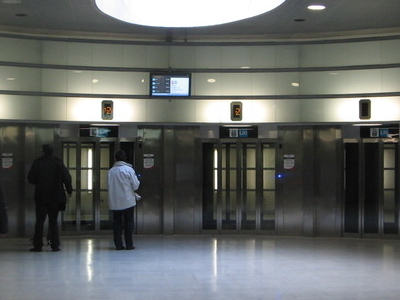 Here's the our members favorite photos of "Metro Stations in Barcelona". Upload your photo of La Salut!